Your comfort is our number one priority. Whether you are at home with your family or in the office at work, we know how important it is to have a heating system that you can rely on when the cold Colorado winters hit. From furnace repair to heat pump installation, we can replace, repair, or service the heating system in your home or office to ensure that everyone is comfortable. 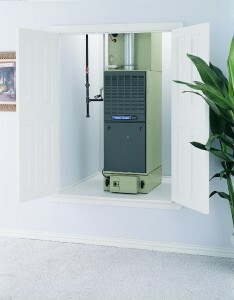 This type of furnace is one of the most common in the United States. Designed to heat the air using either gas or electric power and send the heated air throughout your home or building using a variety of ductwork, there are many places in which a problem could occur. Whether you need a simple furnace repair or you need to replace your entire system, our team will work with you to give you a kind of quality you will love. 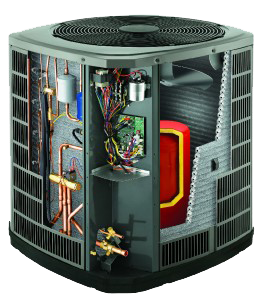 As the name suggests, heat pumps are designed to pump heat. That may be from the outside in or the inside out, depending on the season and outside temperature. This means that your heat pump can take the air from the outside (which may feel cold to you), extract the heat, and pump that heat throughout your home. While the heat pump is highly effective in milder climates and far more energy efficient than its other heating counterparts, it can be ineffective as soon as the temperature drops below a certain threshold. In Colorado, a heat pump is effective enough for most of the year, but you may need a supplemental heating source should there be a week or so of severe cold. Geothermal heat pumps are very similar to standard heat pumps except they draw the heat from the ground instead of the air. While these are a great choice for a more stable heating system, they may be less effective for cooling. Learn more about your heating system and contact our professionals today to see how we can help you stay as warm as possible in the Colorado winters.